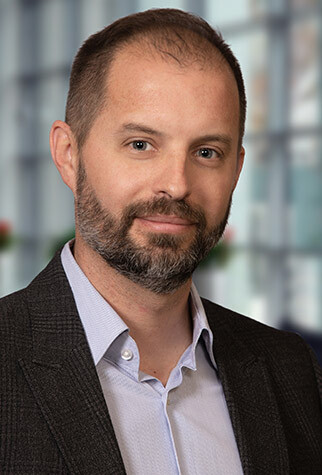 Kyle Taylor, principal of Sobul, Primes and Schenkel (SPS), enjoys applying his considerable accounting expertise to all areas of wealth management. “I enjoy making people comfortable with our extensive resources, and demonstrating ways we can assist them with their financial challenges,” he says. Kyle recently helped a small post-production house as he reviewed its tax returns. He noted that the client’s cash-flow problems were directly related to a project-bidding process that failed to take into account the seniority of editors assigned to low-margin jobs. As a result, junior, less-expensive editors are now given projects where cost containment is critical to profit. Kyle has honed each critical area of SPS’ accounting practice, including tax planning, and financial projection, as well as every-day compliance matters facing small businesses. “Our company isn’t limited to any one type of practice, so neither am I,” he says.